“It was a process that lasted about two weeks, so I knew early on that I was going to have an opportunity to get the job. It was mainly just a matter of me thinking about (the position) for a little bit and giving them an answer,” Varsity Basketball Coach Scott Heady said in response to his new position at Marian University. A Tweet went out on Feb. 14 stating that Coach Heady had received the position at Marian and the official announcement was made Feb. 16. 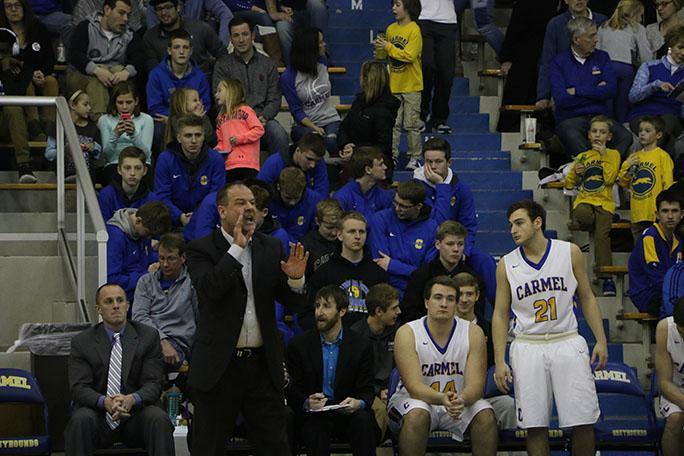 Coach Heady has been working both jobs because the boys basketball team’s season hasn’t ended, but he needs to start preparing for Marian’s season. Heady has even started recruiting players for the Marian University team. He also said that he needs to get to know the current team. “(I’ve been) recruiting, that’s obviously the most important part of the job, especially right now. (The university) being located in Indianapolis, is a big plus for recruiting. I’ll meet with the current players there as a team and have individual player meetings and plan what we are going to do in the spring for workouts. The main thing is, is that with a new team, you’ve got to start building up those constant relationships, that’s a priority,” Heady said. As Heady continues to search for recruits, Athletic Director Jim Inskeep is searching for a new coach to take Heady’s spot. Inskeep goes through an application process in which he looks for key components in an applicant. “(CHS) is not in a place where we can go pick and choose who we want. Really for me, I need it to be someone that is a good fit for Carmel. Which, may not always necessarily mean wins and losses coming in. To me, it’s a little bit about what their experiences have been, what they add to the culture of our school, but most importantly what kind of communicator they are. In our programs, you’ve got to be really strong at communicating with a variety of different stakeholders, let that be the student athletes themselves, whether that be the other staff members, community members like our feeder program, middle school coaches, and really being able to mold in a group of adults with other staff,” Inskeep said. Inskeep even goes as far as to look at where applicants have previously worked and the size of those schools. 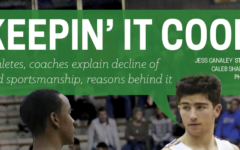 Not only does Inskeep find a replacement for a coach when they leave, he also helps the current coach make their transition from one position to the next. 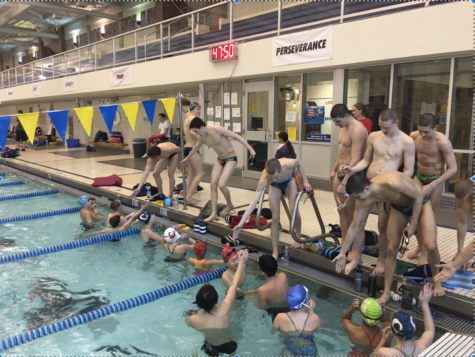 “Each coaching transition is a little unique, they’re all a little different. In Coach Heady’s case it was something that happened during the season, which is not something we have a lot of times. We’re very happy for Scott it’s a great move for him in a lot of different ways, and the timing is very good for him in his life, and where he is at and the things he can do because of this. So, we try to keep the team moving in the same direction, (which) is kind of the hard part. How do you stay focused on finishing out your goals for the year while he’s kind of working two jobs at the same time? It’s a pretty delicate thing. We don’t see this very often at the high school level, but certainly I think about college coaches transitioning in football, from the end of their regular season through the bowl game, and a new coaching job. Those jobs seem to be changing before those school seasons end, quite a bit. So you’re trusting that your existing coaching staff is going to have to pick up the ball a little bit more, or take on some added responsibilities. We also know that Scott’s got a lot invested here and what his goals are, and the kids and his connection, especially with his own son being on the team. So, we know he’s not abandon this job, but he’s very busy right now trying to do two different things at the same time, but we still have a lot of basketball to play here in March,” Inskeep said. Heady said that Inskeep and Principal John Williams were a tremendous help when he first spoke to them and they helped with the whole process. Not only did Heady notify Inskeep and Williams, but he was also quick to notify the players on the team. Heady said that it was important the team heard the news from him. “Well, I think things started to leak out and before the announcement. So, I decided on (Feb 13) to tell them. I’m glad that I did it because I wanted to be up front and transfer it with our players and make sure they knew what was going on. The last thing, that I want to happen is there be drama in our program. So, we had a good talk and I think we’re moving forward, and I think our guys are together, and they’re ready to finish the season. I was really glad that I was able to talk to them on Monday morning,” Heady said. When a coach transfers schools, not only is the administration and coach effected, but the team in which the coach was in charge of has to adjust as well. Basketball player and sophomore John Michael Mulloy has been playing for Coach Heady since fourth grade. “It’s been great. He always pushes us hard to be better and play better as a team. 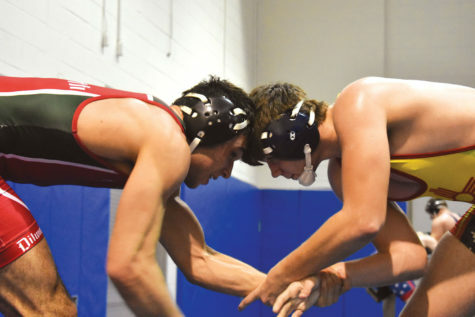 He has actually been my coach since fourth grade and has always helped me improve and get better, giving myself and my team a better chance to win,” Mulloy said via email. Mulloy said that Heady brought the team in the locker room for a team meeting when he told the team. Mulloy also said that the transition from seasons should be easy because he believes that Coach Ryan Osborn will receive the position.